Home > Blog > Should I Meth Test My Rental Property? There is still a lot of misinformation about methamphetamine and as a couple of recent Stuff Articles have reported, there are still many landlords unaware of the importance of testing for methamphetamine. 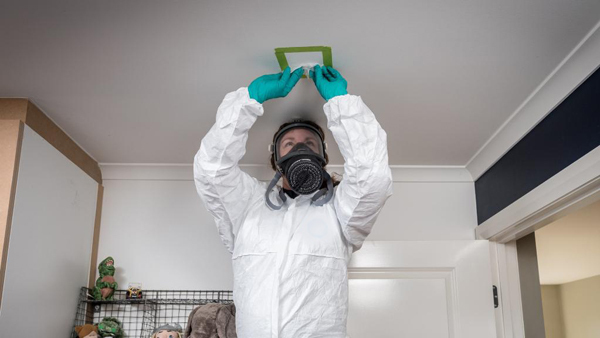 When asked if they (investors) felt methamphetamine contamination in rental properties was lessening or becoming more of a problem, 46 per cent of investors said it was becoming more of a problem, 8 per cent said it was staying the same, and 46 per cent were unsure. In another article, a Blenheim family are on the brink of bankruptcy after their family home became a house for illegal drug activity. This was a family home with tenants that moved in and lived in the property for approximately a year. This has left them with a house they were unable to sell and results of a positive meth test on their LIM report. Our advice is to start with the end of mind. If a property has been tested for methamphetamine (before a tenancy commences)- you have completed due diligence to help mitigate risk. You are also showing that you have a property in “clean condition” for tenants to move into. You must also keep testing between each tenancy. It is also worth speaking your insurance company, or reading the wording of your insurance policy to see if you are covered for illegal substance use. Depending on the extent of damage to the property, costs can be anywhere: from low levels where the house has to be cleaned, repainted and soft furnishings replaced to the extent of removing wall linings and refitting interior of property. Costs can span anywhere from $10,000 to $25,000 to $50,000 plus. For the peace of mind of $159 +GST to have the property show a negative test at the start may save you thousands in the future. We can offer additional insurance protection through REAL Landlord Insurance, please contact Click for further information. Please note: information for this blog was taken from two Stuff articles. Please click HERE and HERE to view the original articles.